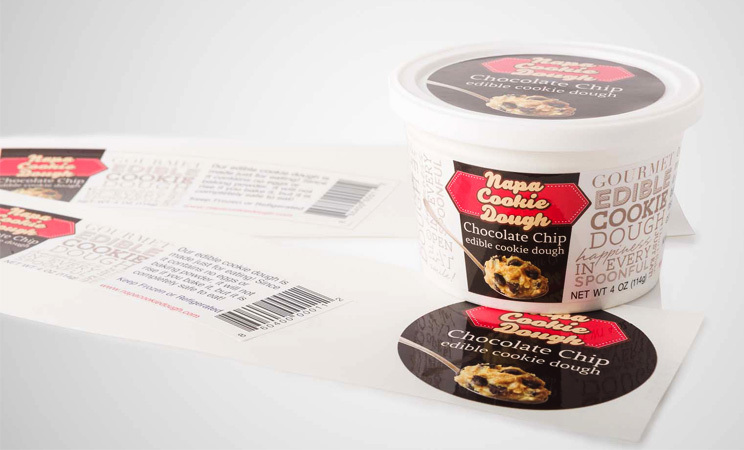 Self adhesive labels have a long way to go from an idea to the final product. 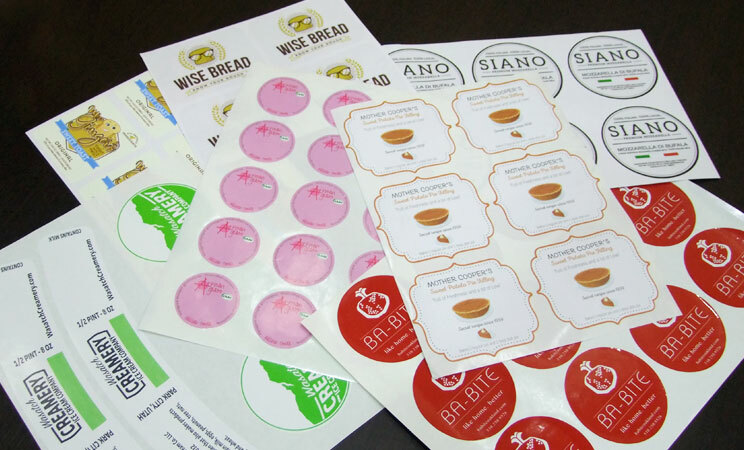 They are small in size, but the production processes involved in manufacturing sticky labels are one serious business. 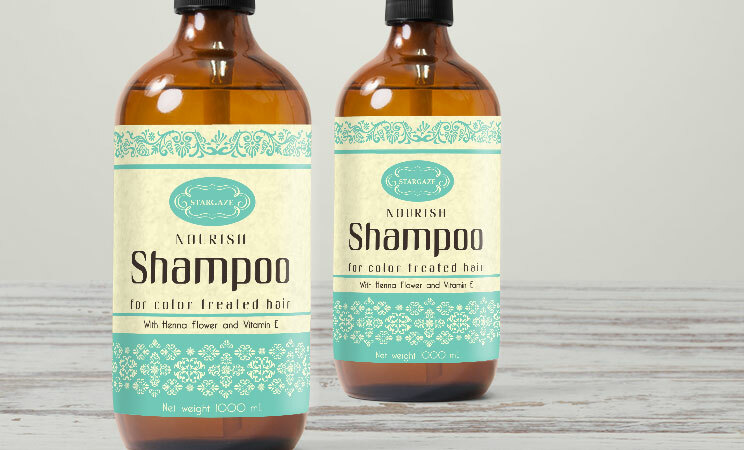 The first phase of creating a product label is planning. That’s when our customers tell us a bit more about their product – its size, shape, material, what it is used for, where it is stored. All these things will determine the look, feel and purpose of our label. 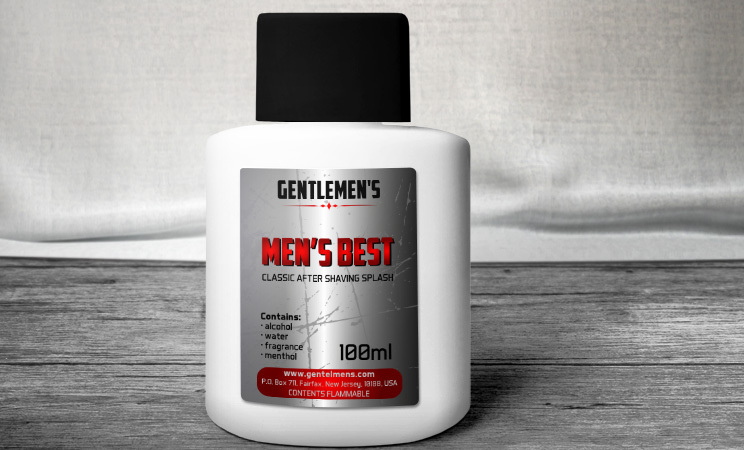 We make decisions about label stock and adhesive we’ll use for the label, and we also agree on its size, shape, color and design with the customer. When it comes to freezer labels, choosing adequate adhesive that will keep the label affixed to the product, and material that won’t crack in cold temperatures, is top priority. 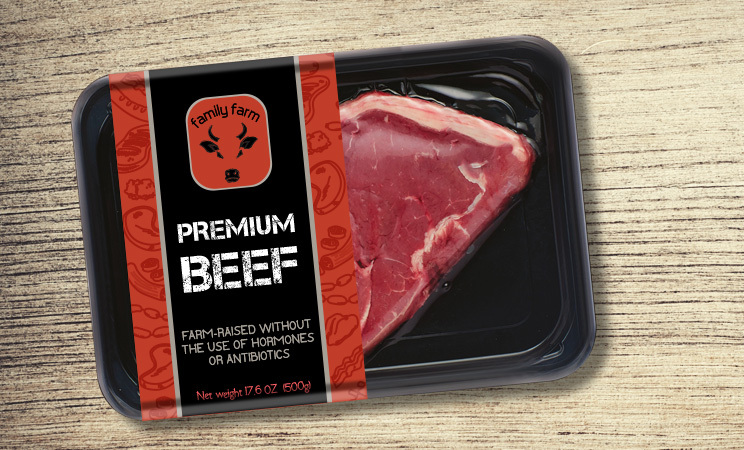 Then comes the design process, preparing the label for press and sending the file to our printing experts who will print the label on offset, flexo or digital press. To get a bit more technical for those among you who are familiar with printing technology, we have 10 printing presses for offset sheet printing in B3 and B2 formats, a top quality digital press RYOBI 526 GX that allows extreme flexibility of production, and a Gallus R160 press for printing labels on rolls. And we’re not done. 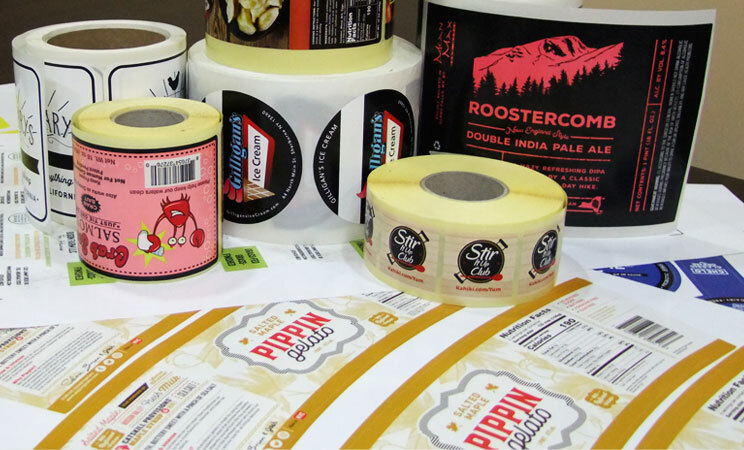 Finishing or post-press operations are very important in label printing business. They include lamination, die-cutting, folding, perforating, UV coating, embossing, foil stamping, etc. These operations are very important because they differentiate labels. 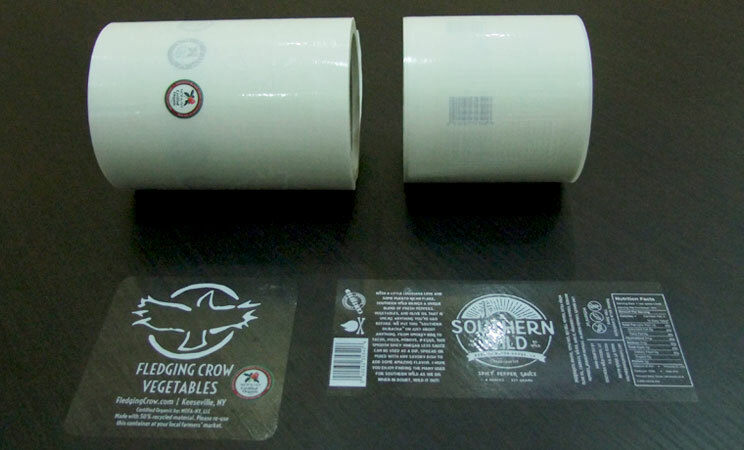 We have a separate department that deals only with label finishing, and though every step of the label making process is important, these final finishes are what makes the label unique. 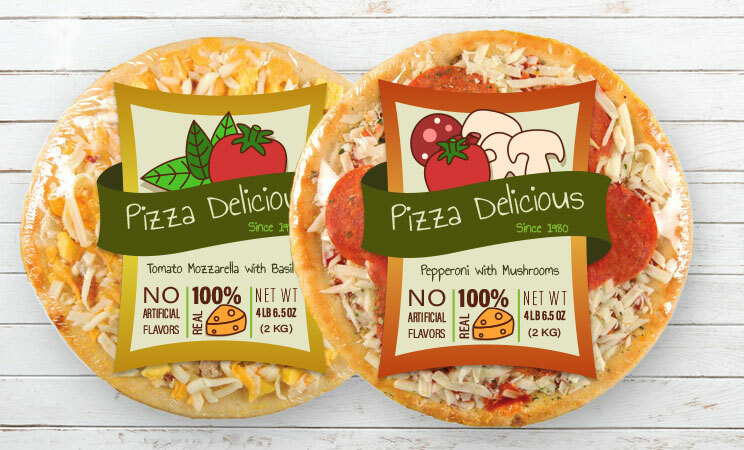 Take a look at our gallery of final products we created at Freezer Labels over the years. 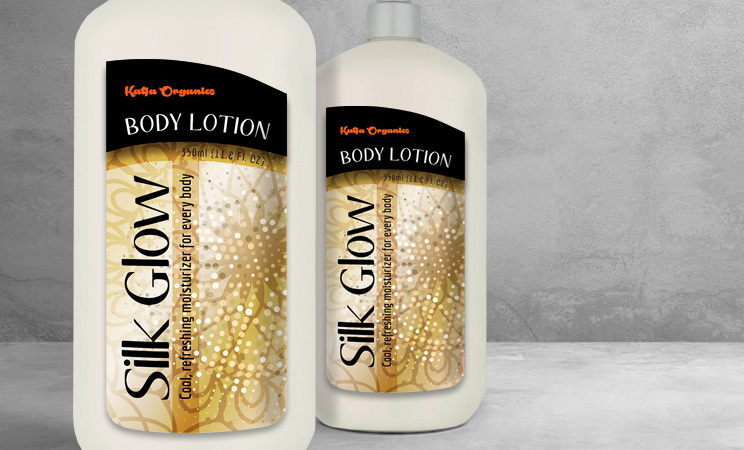 Unfortunately, web presentation will hardly reveal the quality of all our labels’ features (hence, our neat sample packs that will help you fine-tune your order!) but you can still get a pretty good idea how they would adhere to your products. If you like what you see, get in touch!